Grammy-nominated Anya Burgess is one of the most important figures in South Louisiana fiddle culture. Anya is a renowned luthier and she owns and operates a violin shop on the Bayou Teche in Arnaudville, LA. Originally from Boston, MA Anya came to Bonsoir, Catin as an old-time fiddler. She has since taken the Cajun repertoire and infused it with her own unique style. Anya's fiddling and singing is powerful, rich and infused with a deep reverence for the old ways of doing things. Anya also performs with the Magnolia Sisters. Christine Balfa is one of the most respected and revered Cajun rhythm guitarists and singers. She is an inspired musician, fueled by her passion for her culture and the Balfa family legacy. Christine grew up watching and playing alongside her father Dewey and has since become a mainstay in Cajun music in her own right first with her band Balfa Toujours. Christine is also a gifted French speaker, writer of Cajun songs and a youth teacher at the Acadiana Symphony Orchestra. She is a founder of the Louisiana Folk Roots organization. Kristi Guillory became a child prodigy of accordion in the early 1990s and has since earned her place among the modern masters. Kristi is obsessed with sad, pitiful Cajun songs, raunchy drinking ones and the fantastical lyrics of old Cajun accapella ballads. She is a poet, a scholar, an emotional and passionate vocalist and a fearless songsmith. Kristi penned 9 songs for Light the Stars and her vision for creating new Cajun music is uncompromising. 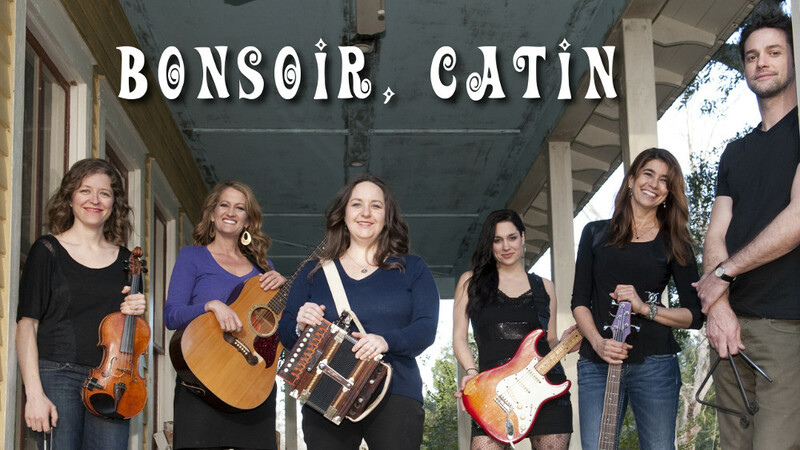 Maegan Berard joins Bonsoir, Catin as electric lead guitarist. She began playing guitar at age 12 and calls Jimmy Page and her father her "guitar heroes." Maegan's father is Grammy nominated Cajun musician Al Berard and she has toured extensively with his band, the Basin Brothers. Light The Stars marks her debut with Bonsoir, Catin. Her melodic playing, rock n' roll stylings and energetic presence is an added layer depth, soul and excitement to the group. Maegan is a prolific songwriter and native French speaker. She also performs with the group Sweet Cecilia. Yvette Landry is a sought after Cajun bassist and vocalist. She began her Cajun music career with the Lafayette Rhythm Devils and later Bonsoir, Catin. Since her start of the Cajun music scene she has since gone on to share the stage with a number of Cajun acts and has joined the lineage of great Cajun bassists. Yvette's straight on beatruns are part of what define the Bonsoir, Catin dance sound. Yvette is also a successful author and songwriter and can be seen fronting her solo country act, The Yvette Landry Band. Danny Devillier has been a staple of the South Louisiana music scene for over 20 years. Danny is a musician's drummer; always tasteful, always creative. He is a gifted composer and holds a Masters degree in Theory and Composition. Danny's playing is deeply rooted in rock n' roll and jazz. As a Cajun drummer, his approach to rhythm is innovative and fresh. Although Danny has been playing live with Bonsoir, Catin for a number of years he makes his recording debut with the group on Light the Stars. He is backbone of the Bonsoir, Catin rhythm section and his musical compass always points true North.